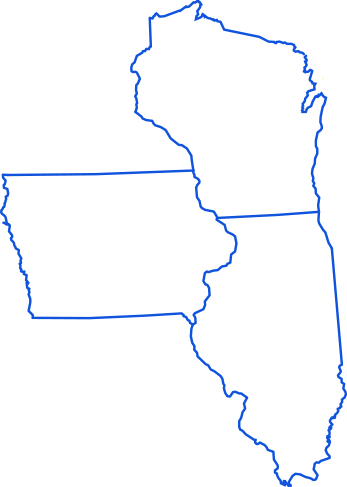 providing service in Wisconsin, Iowa and Illinois. Welcome to Vosberg Real Estate & Appraisal Services, LLC. Mick Vosberg has been a managing real estate broker since 1987 and a licensed appraiser for 15 years. Serving Iowa, Illinois and Wisconsin, he has completed more than 5000 appraisal reports and eligible to perform federally funded appraisals up to $1,000,000 .00 dollars. Appraisals are performed accurately, high quality and at competitive fees. All appraisals are prepared in conformity with the Code of Professional Ethics & Standards of Professional Appraisal Practice of the Appraisal Institute, which include the Uniform Standards of Professional Appraisal Practice adopted by the Appraisal Standards Board of the Appraisal Foundation. Appraisal Qualifying Board compliant to appraise federally-funded properties up to $1,000,000.